I’m sure I’m not alone in loving all braids that are gracing the fashion mags, pinterest boards and blog posts lately and I hope I’m not alone in that I am unable to master them on my own locks. I keep promising myself that I will sit in front of a You Tube tutorial and practice, practice, practice but so far all I’ve mastered is a bad version of the fishtail braid. 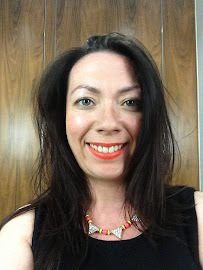 Instead last weekend I decided to throw money at the problem and take myself to Hershesons and let their stylists do what I cannot achieve alone. I have had my hair styled many ways over the years via various hair stylists with equally good and bad results. Often I find the problem is requesting a style that a stylist may not be adept at producing and it doesn’t always translate to your own hair. The beauty of Hershesons is that they have 12 styles for you to choose from. There are no surprises, you simply ask for what you want and they create what they can do. The first step was booking my appointment which I did online. The process is simple; you select your salon, choose your stylist and pick your date and time. An email follows and that’s that. I was slightly concerned that I would arrive on Saturday morning to be told “appointment, what appointment” but had nothing to worry about. I picked Hershesons’ branch at St Pauls for my first visit deciding that One New Change would be a far quieter shopping spot than Topshop or Selfridges on Oxford Street. What did surprise me on entering the salon at 10am was that it was buzzing with activity, all stations manned and all manner of blow drying, backcombing was taking place. Large images of the hairstyles available are displayed on the walls so you can decide what you would like (if you haven’t done so already!) and like me you may sit in wonder trying to decide whether the pale blue & pink bow hairpieces are something you could rock in the office the following Monday. I was most impressed when the stylist approached me offering his hand to shake, introducing himself. In all my years of visiting salons I have never once had a stylist shake my hand. Taking a seat next to me he asked when I'd last washed my hair and I received a thumbs up that I had second day hair as that was easiest to work with (I didn't mention it was because I wanted an extra 10 mins in bed that morning) and I smiled smugly when he told me that whilst I was the third client he had done the style Carlam on that morning, mine was the right type of hair for it (the others being too thick and too fine respectively). I took my seat and he went to work, lots of dry shampoo, some plaiting and backcombing and in a matter of minutes (approx 25 as suggested) I was done. I couldn't believe how quickly he achieved the style and how easy he made it look. 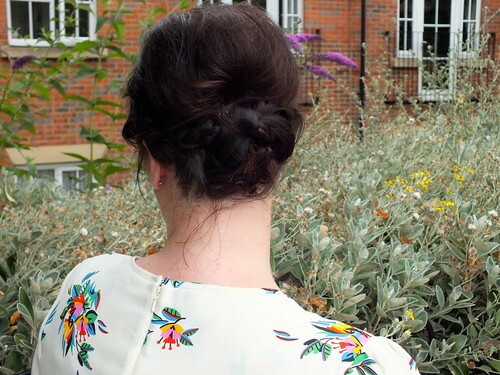 The cost for this style was £25 which to me was a bargain and it was great to have my hair off my face whilst sitting in the sun on Saturday afternoon, styled rather than the usual scrunched up messy bun. Even better I actually didn't remve the style until Monday evening! As I mentioned yesterday I woke up Sunday with a cold so the style was even more of a blessing that I didn't have to worry about my hair whilst I felt sorry for myself on the sofa. Obviously if you were to go out in public like this you might have had to do some tidying up but for a lazy day it was just what I needed. All in all it was a big thumbs up for Hershesons and going forward if I ever have an event where my hair needs a special touch I will be making an appointment. I actually have a wedding in London in a couple of weeks so I'm planning to book an appointment, travel up in my evening wear and have my hair done before jumping into a cab to the venue - for £25 it's not worth my fighting with a hairdryer and rollers! I'd love to know if you've had any good (or bad?) 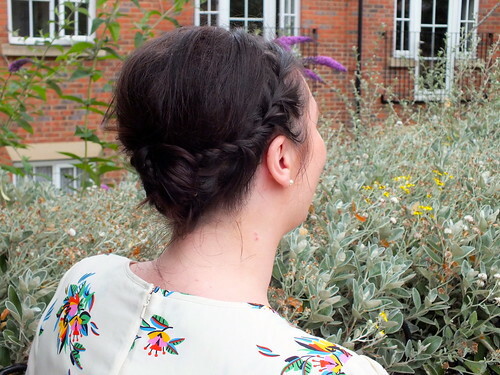 experiences of hair up dos, or even better your braiding tips! How fab and only £25!? !